Things are looking up, and looking down, for HyperSciences Inc. Either way, that’s good news for the four-year-old hypersonic startup in Spokane, Wash., and for its founder and CEO, Mark Russell. 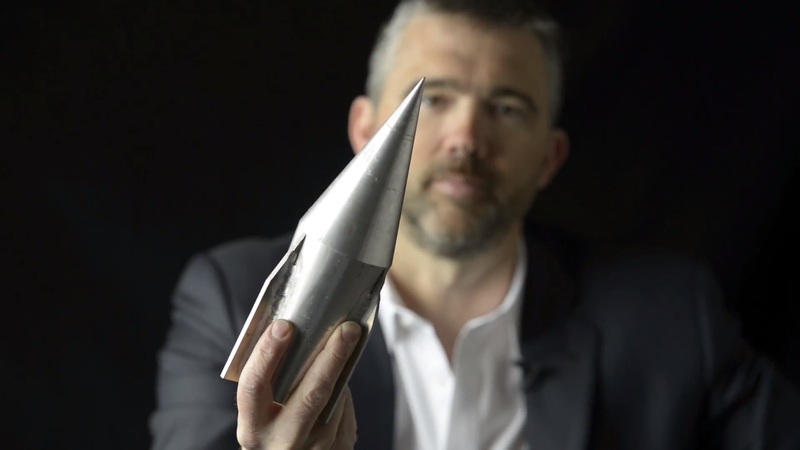 Hypersciences’ key technology is a ram accelerator system that can be used to drill downward into rock up to 10 times more quickly than traditional methods — or send a projectile upward at 6,700 mph, roughly nine times the speed of sound. The drilling application, known as HyperDrill, won more than $1 million in support from Shell Global’s GameChanger program for early-stage technology development. In May, Shell sent HyperSciences a non-binding letter of intent to provide another $250,000 in development funding, potentially leading to a $2.5 million field trial. Also in May, NASA awarded HyperSciences a $125,000 Small Business Innovation Research Phase I grant to develop a hypersonic launch system based on the company’s HyperCore ram accelerator technology. “There’s a new way to fly,” Russell told GeekWire. This entry was posted in GeekWire and tagged HyperSciences, Hypersonic flight, Propulsion, Space, Technology. Bookmark the permalink.